Last edited by Happysnapper on Mon May 19, 2014 7:40 am, edited 1 time in total. Intereting stuff, Barry! Thanks for sharing. Don't know if I've put in my tuppence worth, but for my money, best photographers: Bob Capa and George Rodger in Europe and Edward Steichen (and his crew) in the Pacific. No mysteries there at all! 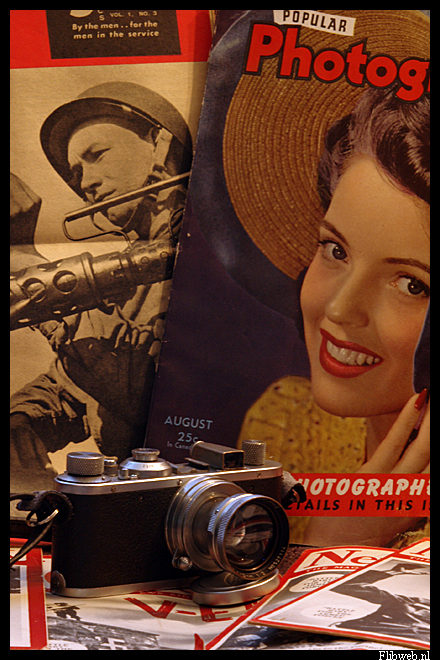 Just picked up two books from amazon: "Darkness Visible" - the WW2 memoirs of Charles Sumners who served in the 166th Signal Photo Company and Ray Boomhower's "One Shot" on war photographer John Bushemi who was killed in the Pacific. Interesting reference material for SPC and US Warphotographers re-enactors. To stick to the title of this topic: I mainly am a re-enactor bringing a camera into the field rather than re-enacting a WW.2 photographer. Main goal is to get some 'operational' footage. I hardly am into portrait stuff but like to capture the dirt, the smoke and fire on a battleground. Best way to do it is dress up like one of the guys and embed inside the actions. Haveing a gun license myself helps to stay safe in the hot zone. 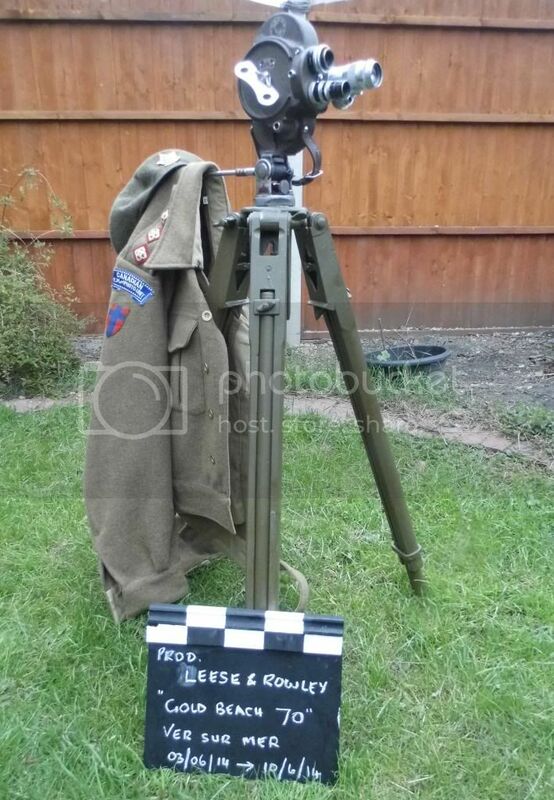 Latest piece of set dressing - 4 inch lens rather than a 6 inch lens and some mixing and matching from helpful forum members but later war 16mm Filmo on B&H Filmo camera mount married to a New Zealand 1943 dated tripod. The clapperboard came from a junk shop (smelling heavily of cat wee - the blackboard's been replaced) but does have a broad arrow stamped in the top - it's a crude beastie which makes me think it may be something original ! The best way to get period looking photographs is to use a period camera and not anything digital or with a zoom lens. I appreciate that having to judge shutter speeds and apertures is not easy the cameras such as the Super Ikonta 532/16's that the AFPU used back then and we use now, will give correct look. "f/8 and be there was" was the saying. Focused at a particular distance in combination with a flashgun, gave the press photographers a sort of point-&-shoot option.